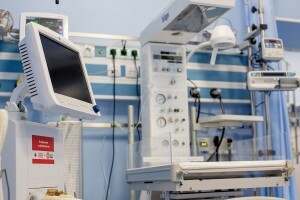 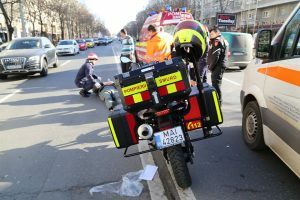 Fundaţia pentru SMURD alături de Departamentul UPU-SMURD Bucureşti şi Secţia de Anestezie Terapie Intensivă, Spitalul Clinic de Urgenţă Bucureşti “Floreasca”, cu sprijinul financiar al Rompetrol KMG a implementat proiectul de dotare cu un echipament de asistare cardiacă şi pulmonară. 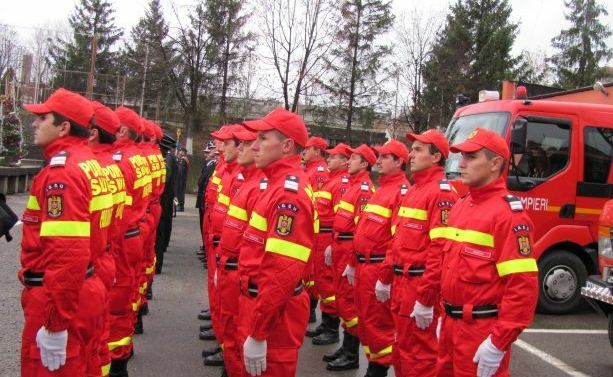 improvement of the overall intervention SMURD activity in emergency situations and the number and efficiency of the rescue missions carried through out the Romanian territory. 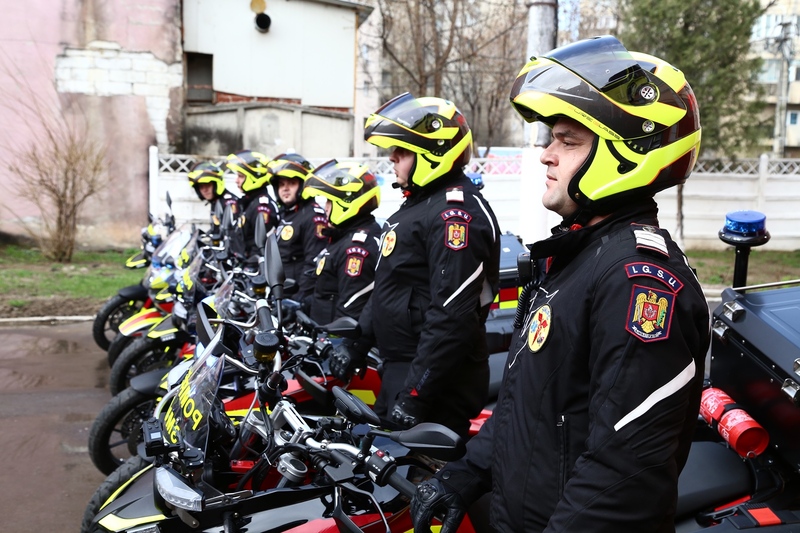 Also, through this initiative will achieve a breakthrough in terms of increased efficiency of intervention SMURD in South East by supporting development in best conditions for the tasks performed first aid crews, intensive care and rescue, aerial SMURD . 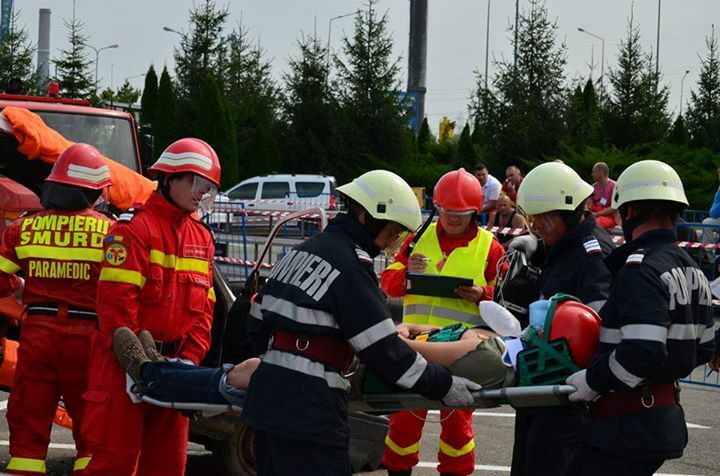 To conclude this project in Romania contribute to the development of an integrated system of emergency care effectively to European and international standards. Foundation for SMURD, with the financial support of Vodafone Romania Foundation, endowed the Emergency Care Unit, with the necessary medical equipment, in order to conduct the medical activity at the highest medical standards. 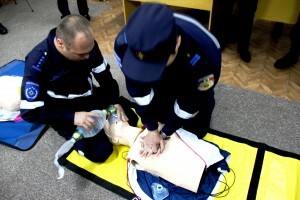 The budget for arranging the ECU was provided by the Ministry of Health. 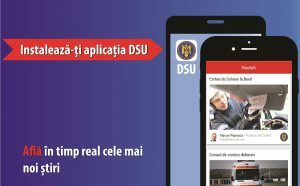 2014: no. 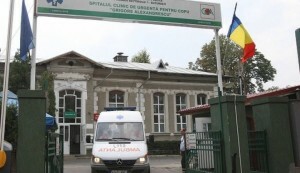 treated patients: 36,500. 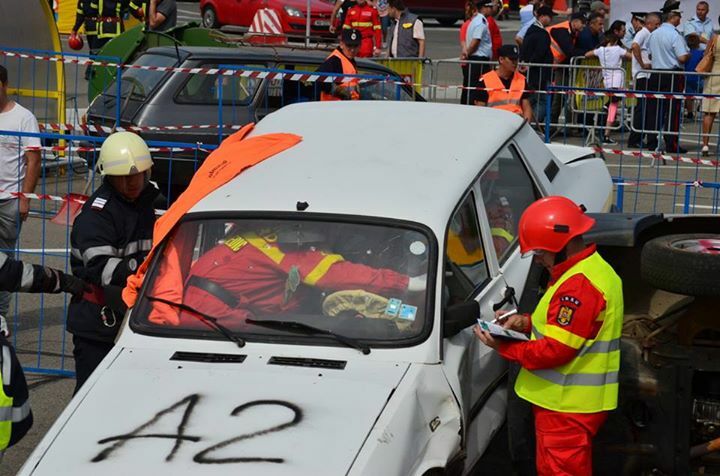 Fundaţia pentru SMURD will support, following an agreement of the Board, the participation of the extrication and the first aid teams, the winners of the National Competition for Extrication and First-Aid, at the World Rescue Competition 2015. Also, SMURD Foundation will analyze the support for the participation of a team of observers within ISU-SMURD at this competition. 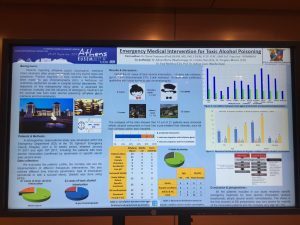 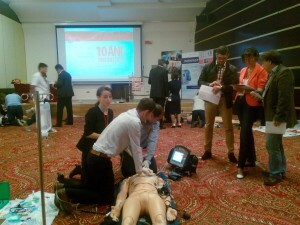 Participation of a number of 100 persons, residents, student, physiciens, nurses and paramedics, emergency medicine specialists to the European Emergency Medicine Congress, EUSEM 2015, held during October 11 – 14th, 2015, in Torino, Italy. 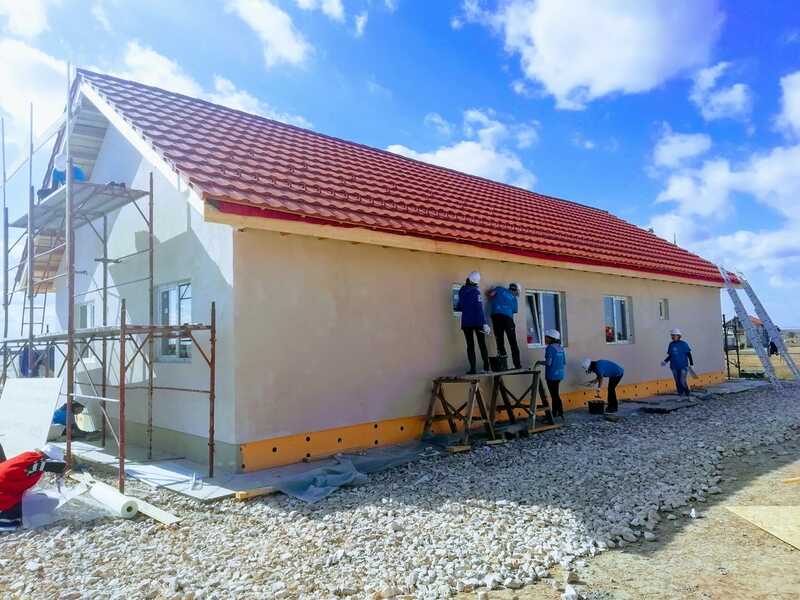 Construction of a mobile training center that will be endowed with a next generation laboratory for the training courses of the physiciens, nurses, paramedics and other persons. 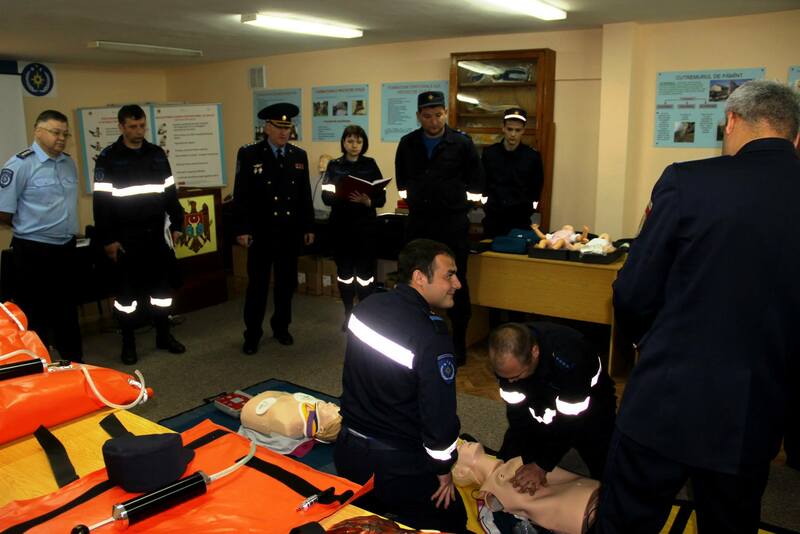 This unit has also a hall, with a capacity of 50 persons, where will be organized theoretical and practical courses concerning the latest tehnciques within the emergency medical services. 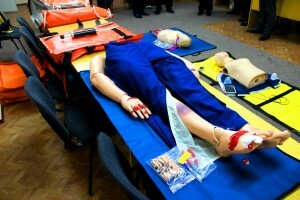 The training center will allow the training of the external personnel in basic first aid and other rescuing activities. 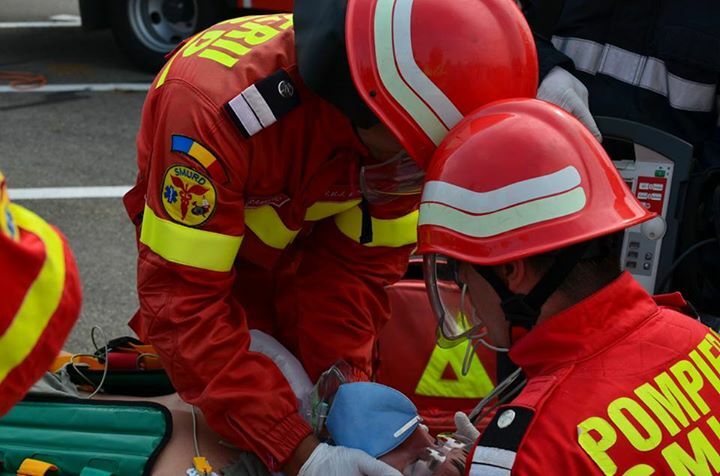 Foundation for SMURD supports the project of endowment of 85 first aid SMURD teams, at national level, with sets of communication equipment, for the transmission of medical data and other information to emergency units. 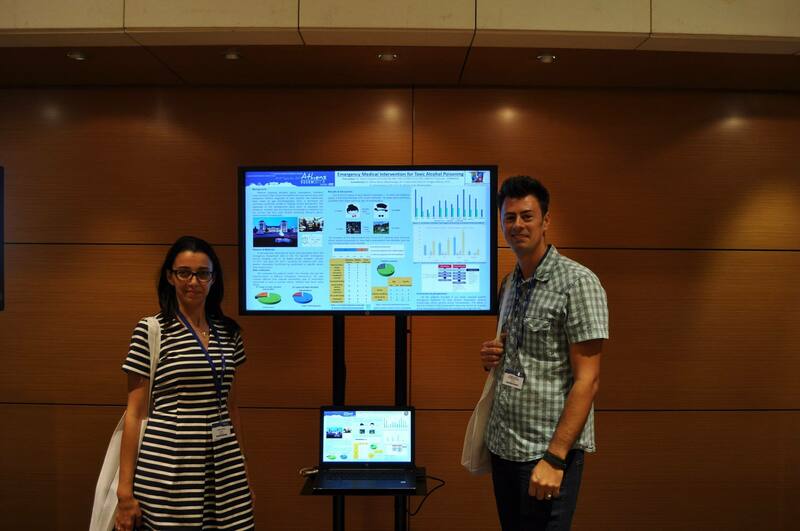 Fundaţia pentru SMURD supported the 10 years celebration event of SMURD Iaşi. SMURD Foundation supported the endowment with 50 SMURD protective equipments. 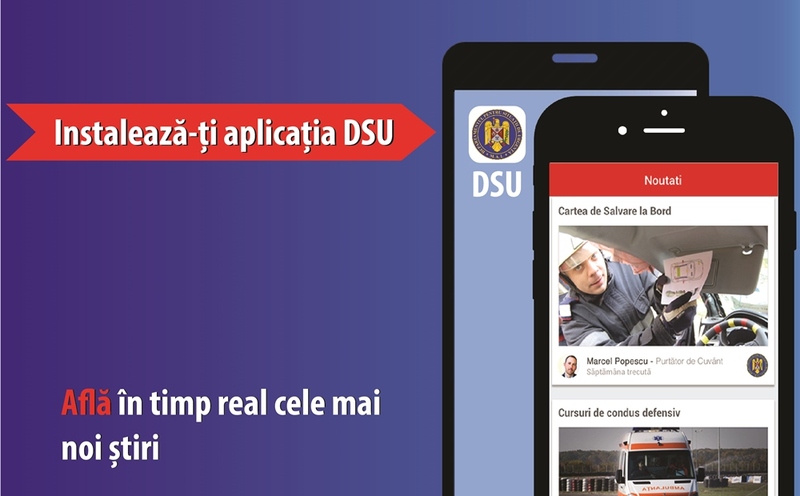 – Voucher for 3 people for participation to ETC, conducted in June 2015. – Voucher for 3 people for SARTIS Oradea 2015 conference. 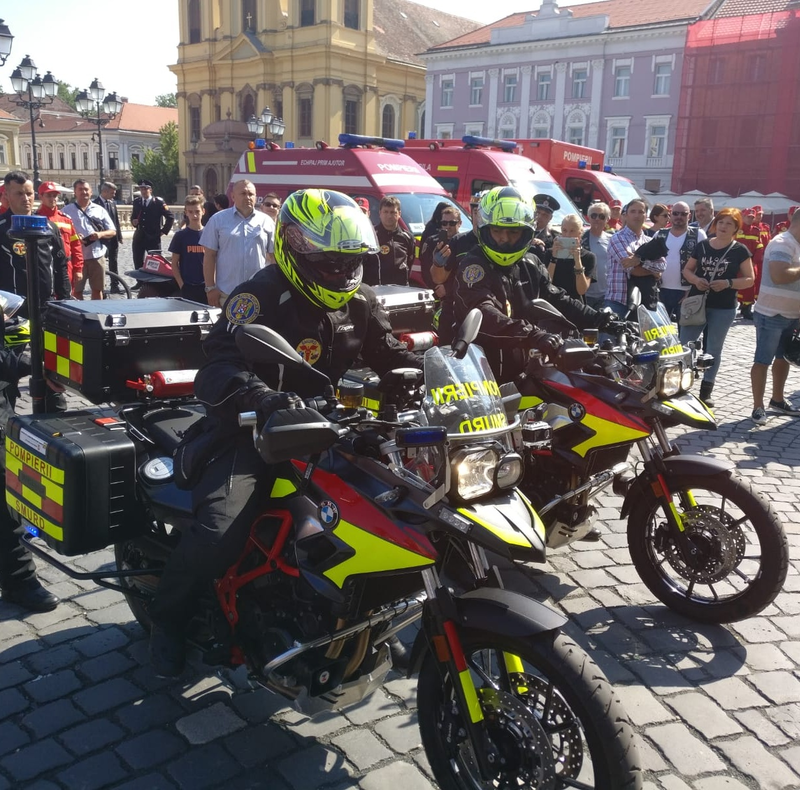 Fundaţia pentru SMURD supported the presence of two persons within the General Inspectorate for Emergency Situations to the Interschutz Fair, Hannover, Germany, during June 7-13 th 2015. 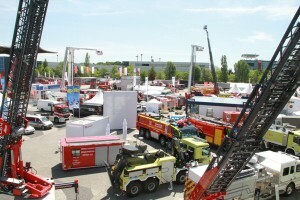 Interschutz had as the main theme the presentation of the new products and ideas in the field of firefighting, extrication and qualified medical first aid, intervention to extrication and specific preparation for the emergency services. 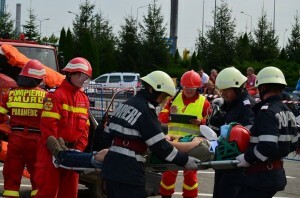 Fundaţia pentru SMURD supported the participation of the teams consisting of the personnel from the ISU Bihor, ISU Timiş and two medical staff from UPU-SMURD Timiş, at the NATO multinational exercise, that took place at the NATO Excelence Center for Military Medicine (MILMED COE) organized in Czech Republic, during June 1st – 12th, 2015. 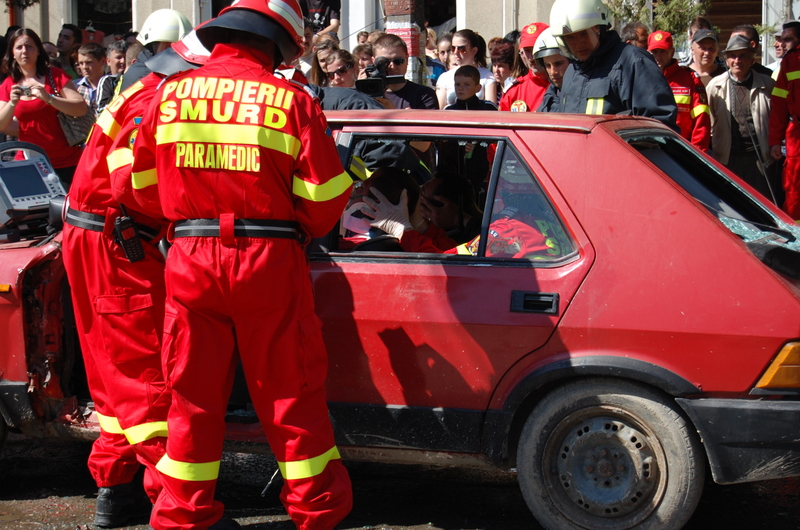 SMURD Foundation supported the endowment with 800 SMURD protective equipments for the physicians, nurses and paramedics. 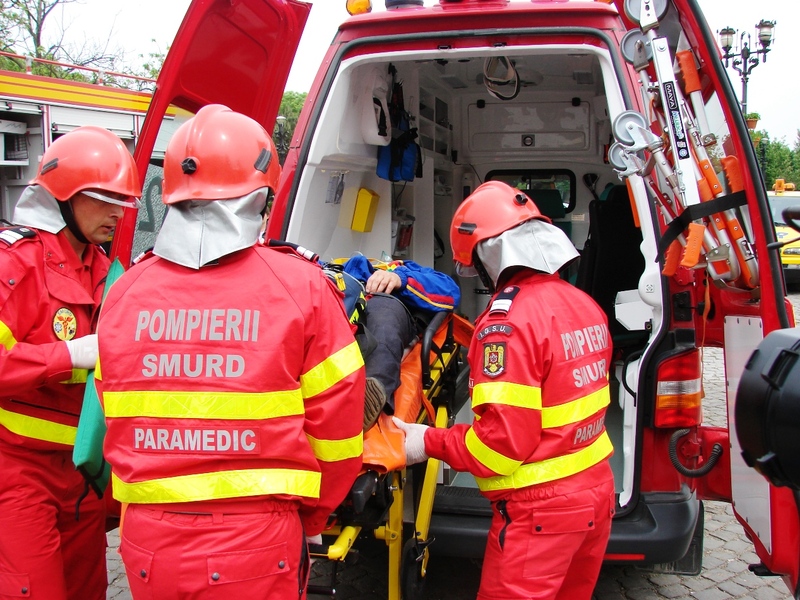 Special protective equipment for medical and paramedical staff influence the intervention activity of SMURD service and alignment with standards prescribed in the applicable equipment is absolutely necessary. 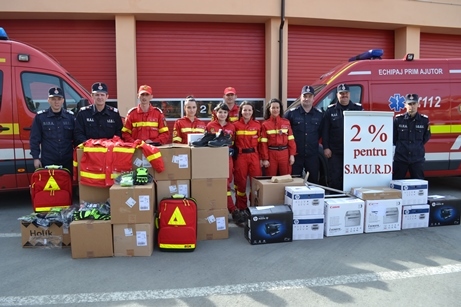 Foundation for SMURD supported the endowment of the training center of the personnel and crews of SMURD Sibiu, with the electronic medical equipment and training needed. 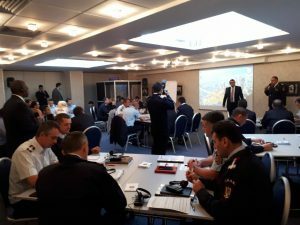 DESCRIPTION: Following an analysis of the existing situation, was underlined the importance of the reduction of the response time and the necessity of enhancement of the intervention capacity and management of the emergency situations in the Tulcea County responsibility area. 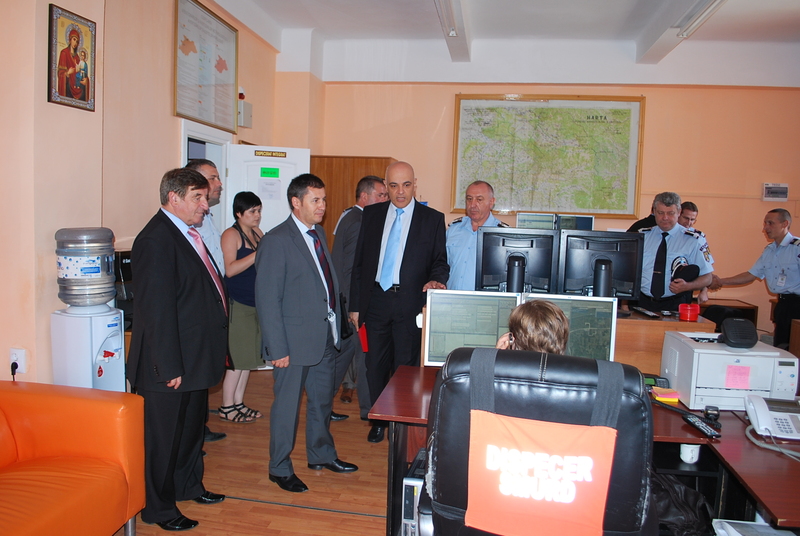 Also it was underlined the importance of launching a new intervention point in this area (Tulcea). 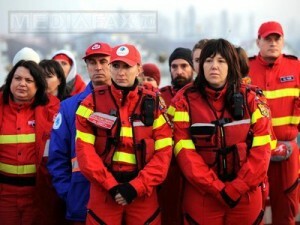 The medical boat is a high speed watercraft that will be used in order to enhance the intervention activity, complementary along with the already used ships, that have a much lower speed. 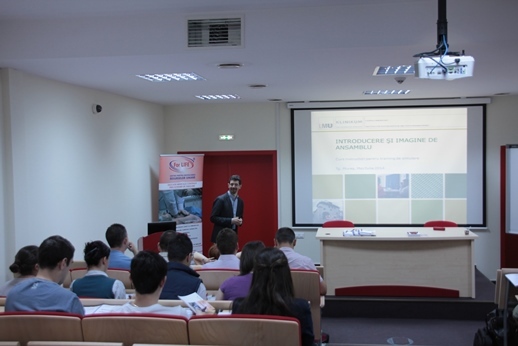 Fundatia pentru SMURD organized during April 3-10th aprilie 2015, the contest for the selection of 3 resident that were financiallz supported to participate to the course “Refresher Course 4”, held in Croaţia, during May 28-31 th, 2015. 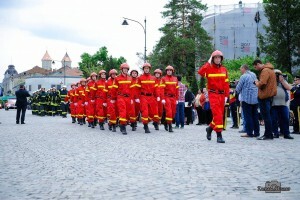 SMURD Foundation endowed SMURD Neamt personnel with 53 personal protective equipments for the 5th year anniversary. 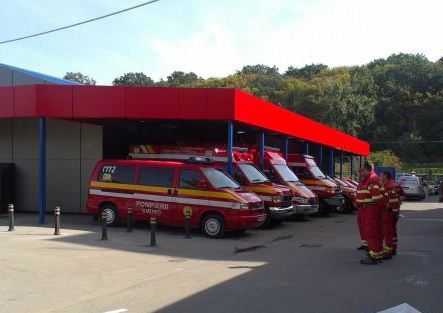 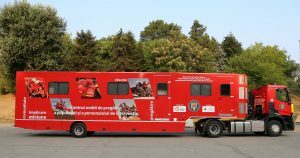 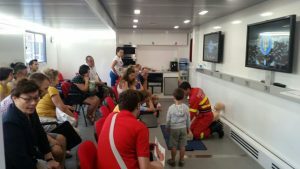 In Neamt County, the Mobile Emergency Service for Resuscitation and Extrication conducts its activity in 2010 within the Inspectorate for Emergency Situations “Petrodava” and is one of the 42 SMURD centers opened in Romania. 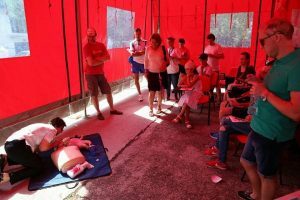 Short assessment report – SMURD neamt activity: 30.000 interventions and thousands of lives saved. 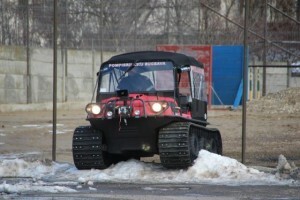 Fundaţia pentru SMURD supported the emergency intervention activity conducted within Suceava County, through the endowment with an special tracked vehicle necessary for the intervention in heavy conditions, on rough lands, on snow and in the acquatic environment, practically in any difficult areas with the usual means of intervention of SMURD personnel. 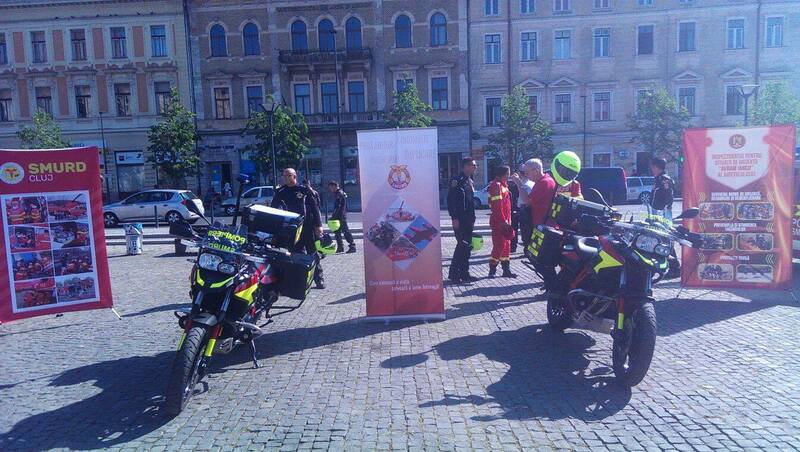 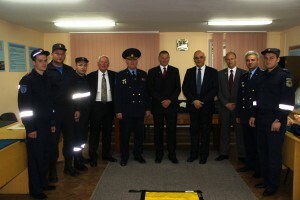 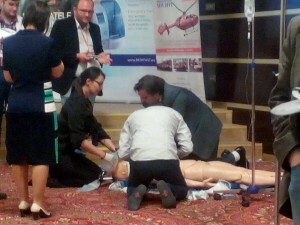 SMURD Foundation supported the implementation of the emergency medical service SMURD in the Republic of Moldova. 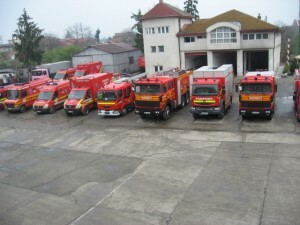 SMURD Foundation got involved in a more larger and important project of the Government of Romania, through the acquisition of the necessary equipments of training the personnel, after the completion of the training the trainers programme by a number of firemen from Republic of Moldavia at the National Center within the Inspectorate for Emergency Situations “Horea” of the Mures County. 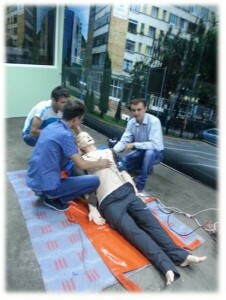 (2014) Support for the participation of 3 SMURD physicians to a training program for the emergency interventions in rescuing the victims of the cave accidents. 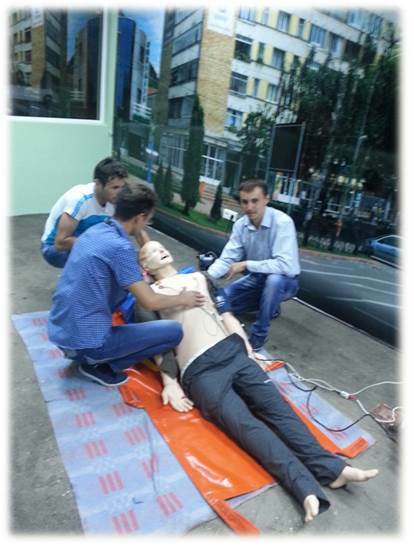 Fundatia pentru SMURD financially supported the participation of 3 SMURD physicians to a training program for the emergency interventions in rescuing the victims of the cave accidents. (2014) Support for the European Commission’s initiative on assistance of the Ebola virus treatment program in Guinea. 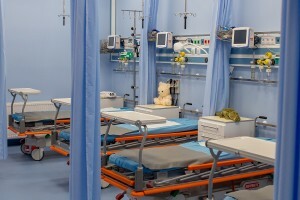 DESCRIPTION: Ebola virus disease, or the Ebola haemorhagic fever, is a severe infectious viral disease with a lethality rate of 90 % in humans (the highest mortality in an infectious disease except rabies), which occurs in outbreaks in Central Africa and West Africa and is caused by Ebola virus (Ebolavirus). SMURD Foundation joined the European Commission initiative to combat Ebola virus outbreak by buying and transporting six auto vehicles Dacia Duster, to Den Helder harbour, Netherlands. The project was logistically supported bz the General Inspectorate for Emergency Situations within the Ministry of Internal Affairs. 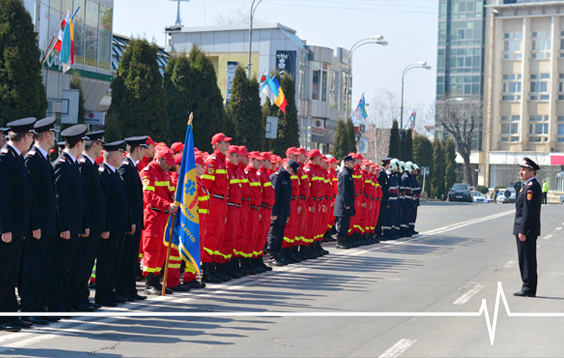 We address special appreciation to the companies E.ON, OMV Petrom and Renault Commercial Roumanie, for all the support offered. Fundatia pentru SMURD financially supported the organization of the 10 years anniversary of the SMURD aero-medical activity. 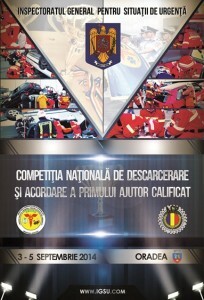 Fundaţia pentru SMURD supported the participation of the extrication team within the Emergency Situations Inspectorate “Horea” of the Mures County and the first aid crew belonging to the Emergency Situations Inspectorate “Crişana” of the Bihor County, as winners of the 2013 edition of the National Competition for Extrication and First-Aid, at the World Rescue Competition, organized during October 7th-13th, in Moreton-in-Marsh, Fire Service College, Great Britain. 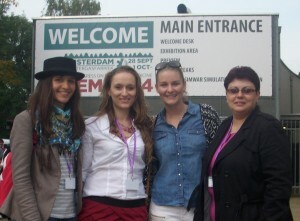 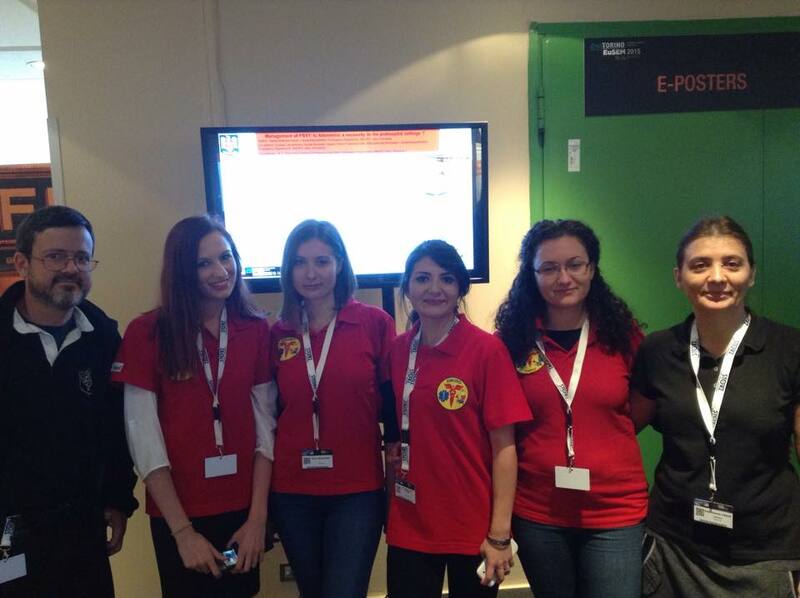 Also, SMURD Foundation supported the participation of two observers within ISU-SMURD at this competition. 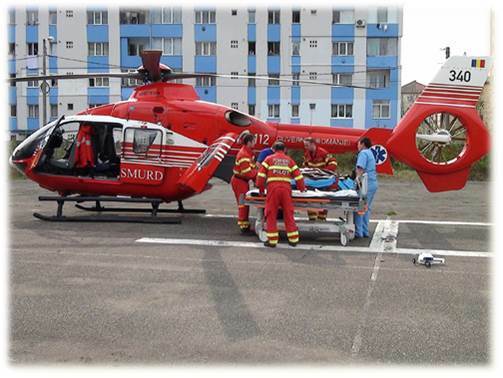 Foundation for SMURD sustained the training activity of the SMURD medical personnel that participate in medical emergency air missions carried out by the SMURD helicopters. 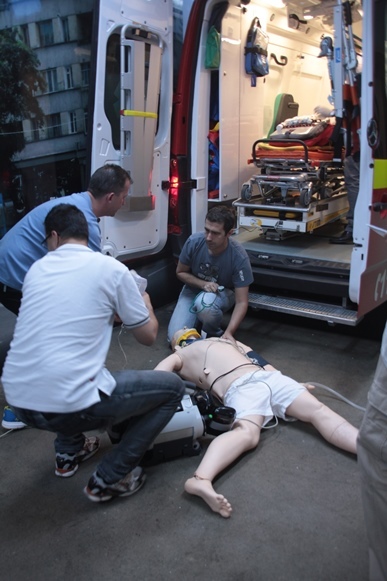 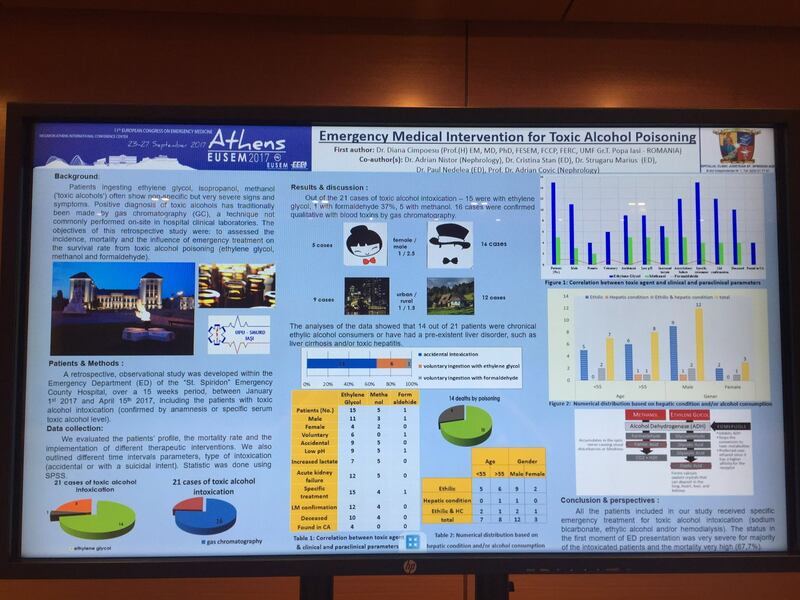 Participation of a number of 100 residents, student, physicians, nurses and paramedics to the VIII-th European Emergency Medicine Congress, EUSEM 2014. 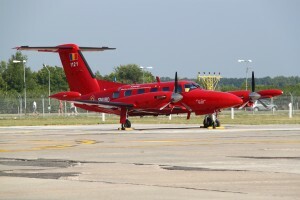 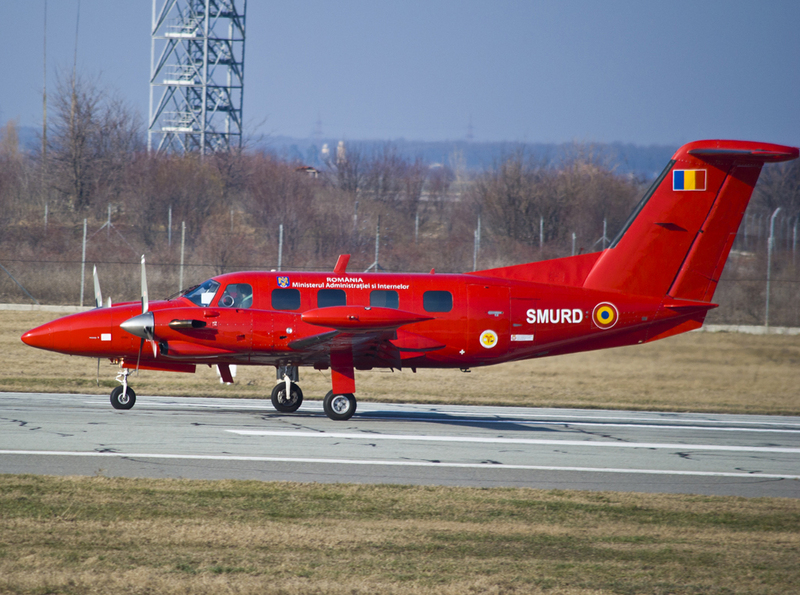 Fundatia pentru SMURD financially supported the preparation for intervention of the second aircraft operated within the aero-medical SMURD activity. Fundatia pentru SMURD financially supported the organization of the National Competition for extrication and qualified first-aid. 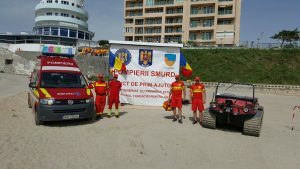 Foundation for SMURD supported the project of arrangement of the integrated dispatch ISUj-SAJ Brăila for the intervention activity within Brăila county. SMURD Foundation supported the organization of the the courses and practical training, for a period of 6 months, for training as trainers, of the physicians, nurses and paramedics, in Iasi and Tg. 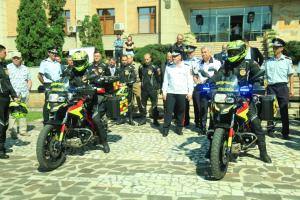 Mureş, within the cross-border project with the Republic of Moldavia (18 participants). 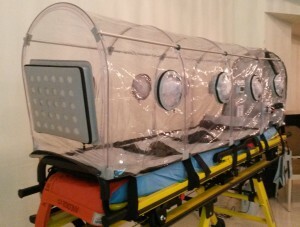 DESCRIPTION: The isolation mobile capsule is a temporary solution ideal for a rapid quarantine of the patient or material that is considered contaminated with infectious particles or diseases before transferring to an isolated area in order to ensure a safe treatment. 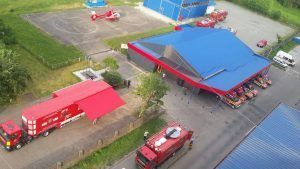 Taking into consideration SMURD’s activity, the endowment of SMURD regional centres with these types of equipments is imperative. 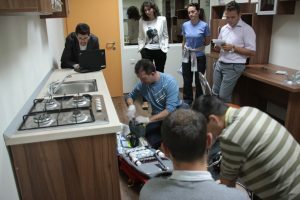 Within the project we intend to purchase 5 isolation capsules for the endowment of SMURD Bucureşti, Craiova, Iaşi, Mureş and Timiş. 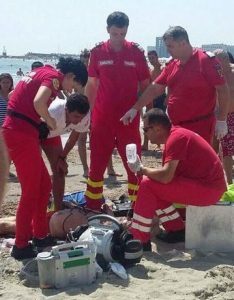 The support of SMURD Foundation has been requested, firstly in order to ensure a prompt quick response in emergency situations, preventing the contamination and alteration of the activity of SMURD personnel and all the other key actors that participate in an emergency situation and also being able to isolate the patient using the best appropriate security measures. Fundatia pentru SMURD financially supported the National Center for Canine Training in order to participate the national Romanian team to the International Campionship of the canine rescueing teams – ”FCI WCH 2014”. Fundatia pentru SMURD organized during February 14 – 24th 2014, the competition for the selection of 3 interns that will attend the SMURD Târgu-Mureş activity, during August 2014, from the students belonging to the medical faculties from Romania. 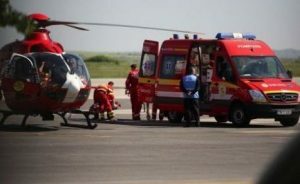 Support for an emergency surgical intervention 2 years old child, diagnosed with a severe affection that needs an emergency medical intervention. Concerning the financial aspects, the colleagues and friends of the family of the patient have raised the amount necessary for covering the transport to Germany and the accommodation of a second accompanying person. Also, SMURD Foundation supported the logistics costs of different humanitarian missions. SMURD Foundation supported the endowment with the protective equipments SMURD for the emergency care intervention crews from ISU-SMURD Bucuresti. 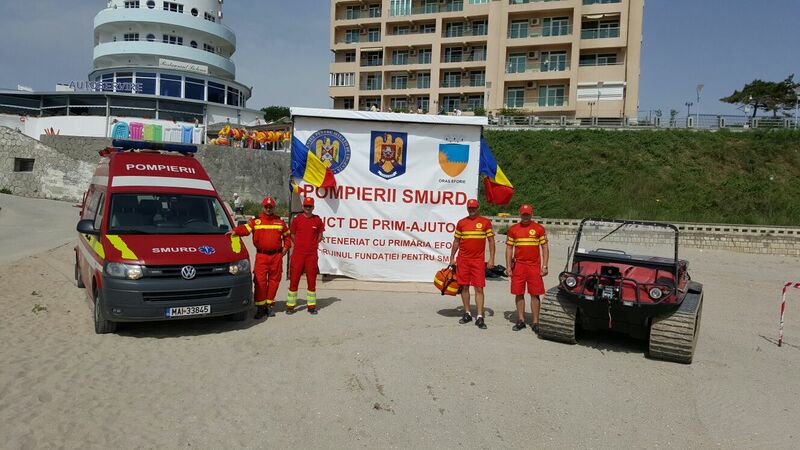 Fundatia pentru SMURD suport the implementation of the emergency medical service SMURD in the Republic of Moldova. 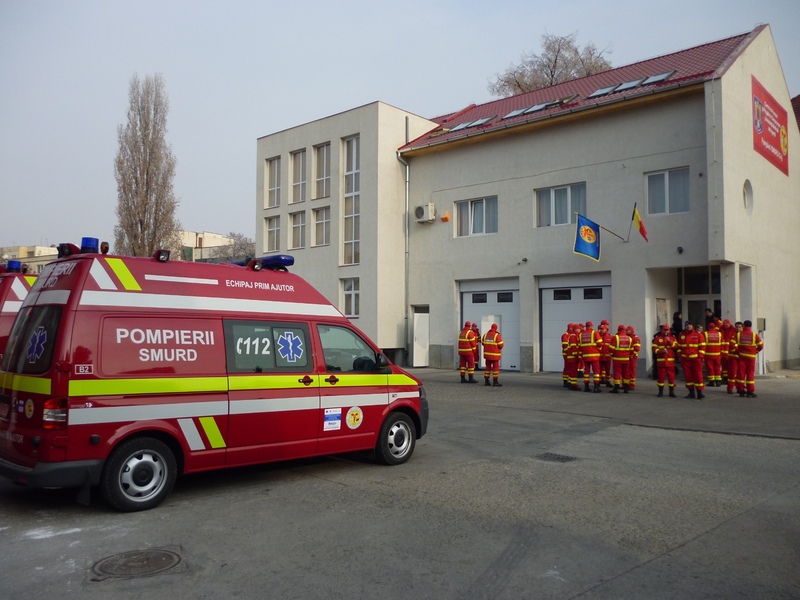 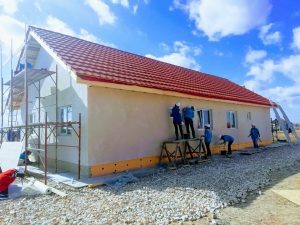 In this respect, on May 15th 2014, took place the delivery of the training equpments for the opening of the first training center for the paramedical personnel within the Republic of Moldavia. 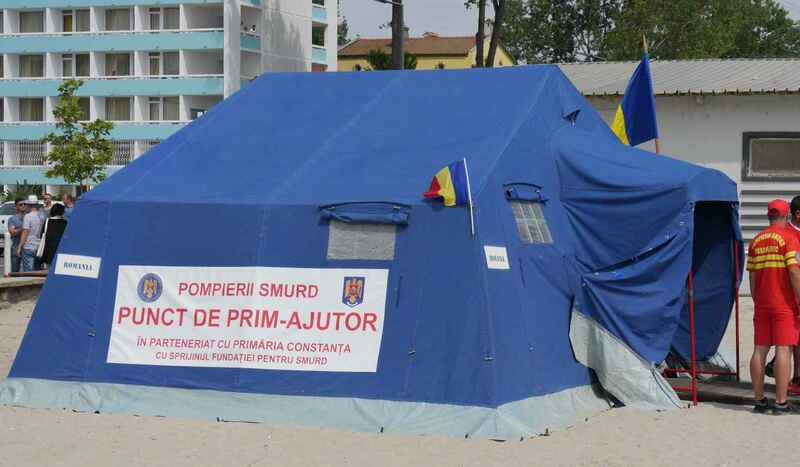 This was a preliminary stage befor launching the activity of the first SMURD crews in the Republic of Moldavia. 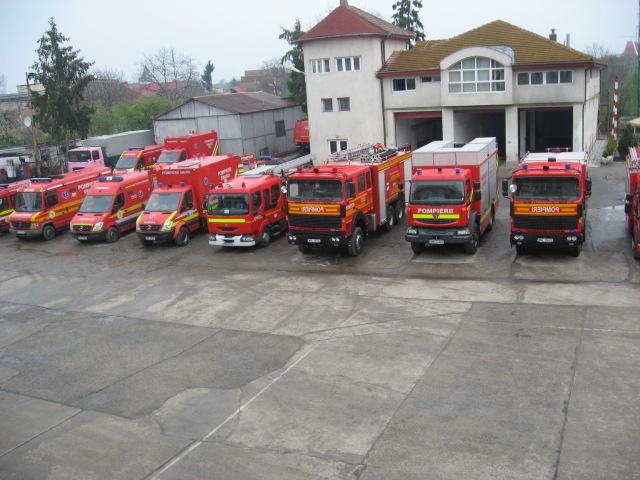 Fundatia Pentru SMURD got involved in a more larger and important project of the Government of Romania, through the acquisition of the necessary equipments of training the personnel, after the completion of the training the trainers programme by a number of firemen from Republic of Moldavia at the National Center within the Inspectorate for Emergency Situations “Horea” of the Mures County. With the support of the equipments offered by the Center for qualified firs-aid within the Service for Civil Protection and Exceptional Situations, the first training courses of the firemen within the Republic of Moldavia, that will be taken by the trainers that completed the training course in Targu-Mures, started in july 2014. (2014) Support for an emergency surgical intervention for a 2 years old child. 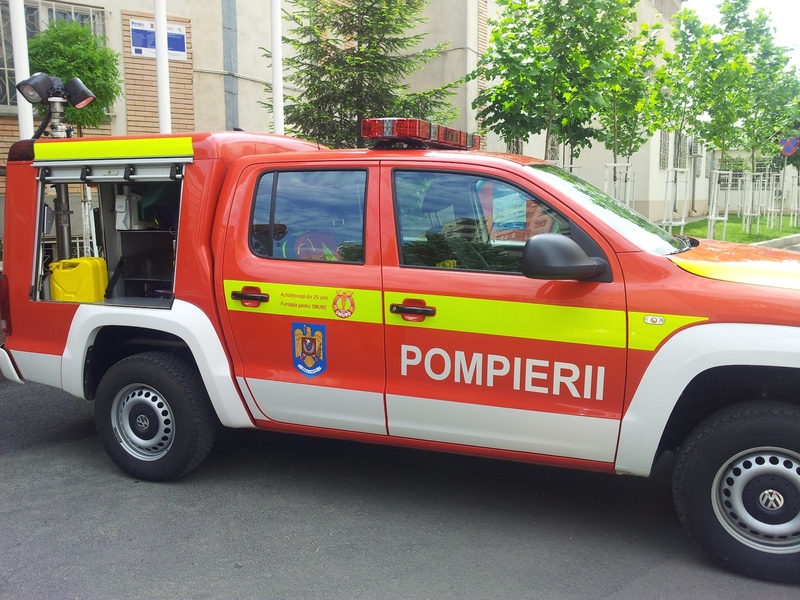 The patient, 2 years old, the child of a fireman within the Inspectorate for Emergency Situations “Nicolae Iorga” Botoşani, was diagnosed with a severe affection that needs an emergency medical intervention. 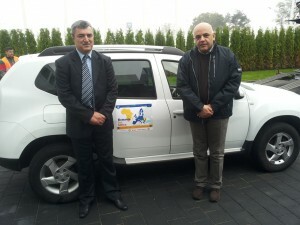 Concerning the financial aspects, the staff within ISU Botoşani have raised the amount necessary for covering the transport from Botoşani to Aachen, Germany and the accommodation of a second accompanying person. 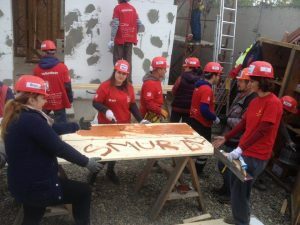 E.ON Romania offered a 4,000 EUR sponsorship and SMURD Foundation, following an agreement of the Board, transferred the difference of approx. 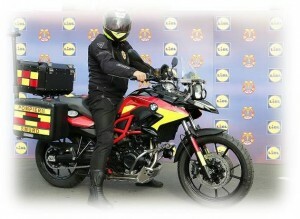 4,315 EUR. Support in order to reintroduce them in the emergency intervention activity of SMURD for some ambulances belonging to SMURD Călăraşi, Maramureş, Sibiu, Vâlcea şi Vrancea. Description: The endowment of the SMURD Iaşi Center with a multi-functional system for fixing the transport neonatal incubator for the ambulances and the helicopter. 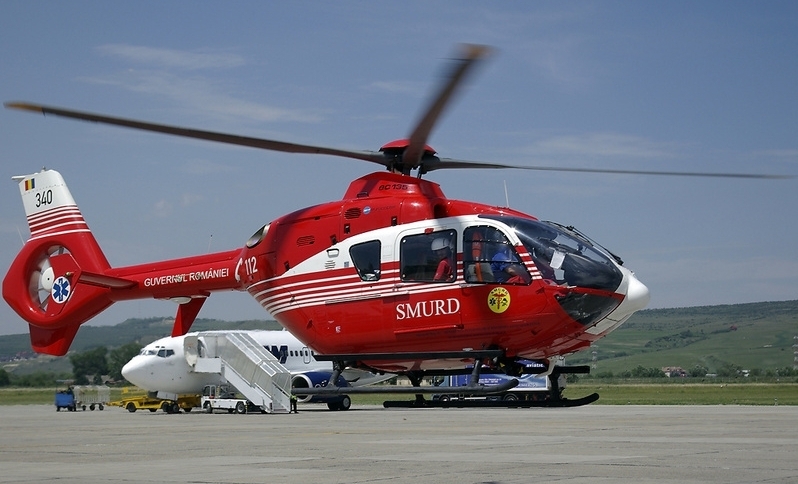 SMURD Foundation supported the revision activity of the SMURD aircraft according to the 300 activity hours. 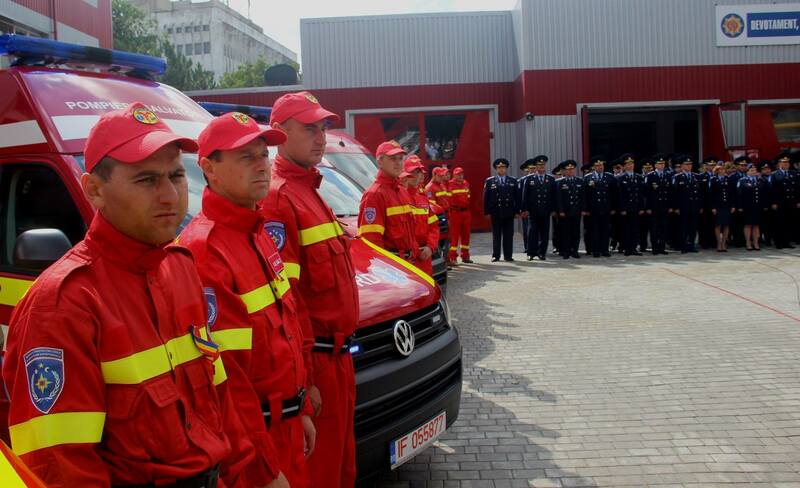 Foundation for SMURD supported the project of restoration and endowment of the regional centre for education and training in extrication and emergency medical care within the Inspectorate for Emergency Situations „Dealul Spirii” Bucureşti – Ilfov. (2013) Participation of a number of 100 residents, student, physiciens, nurses and paramedic to the VIII-th Mediterranean Emergency Medicine Congress, MEMC 2013, Marseille. 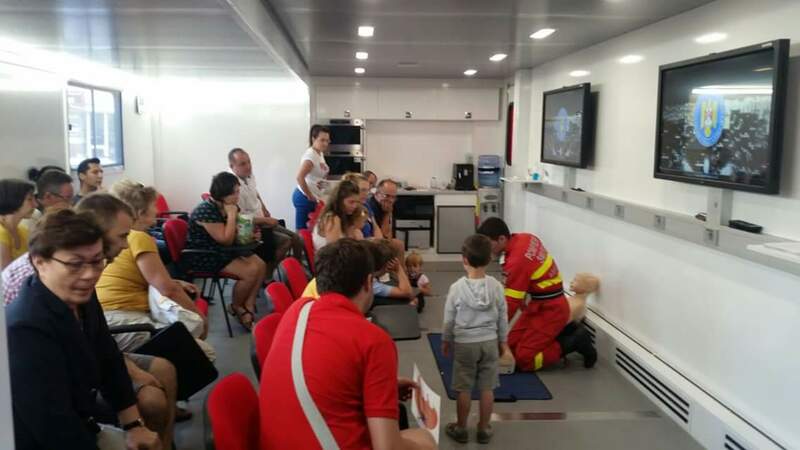 Participation of a number of 100 residents, student, physiciens, nurses and paramedic to the VIII-th Mediterranean Emergency Medicine Congress, MEMC 2013, Marseille. The national wide acquisition of the protective equipments national for SMURD first-aid and intensive care crews. 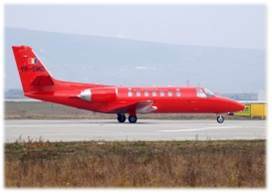 The ambulance-jet for SMURD is a project of The SMURD Foundation, in collaboration with the General Inspectorate of Aviation of the Ministry of Interior. 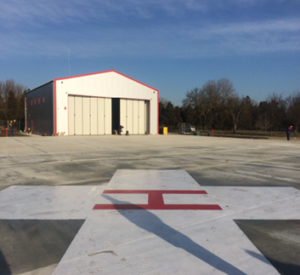 The aircraft began the operations on the 15th of July 2013 and is available 24 hours a day, 7 days a week, 24/7, excepting the maintenance periods. 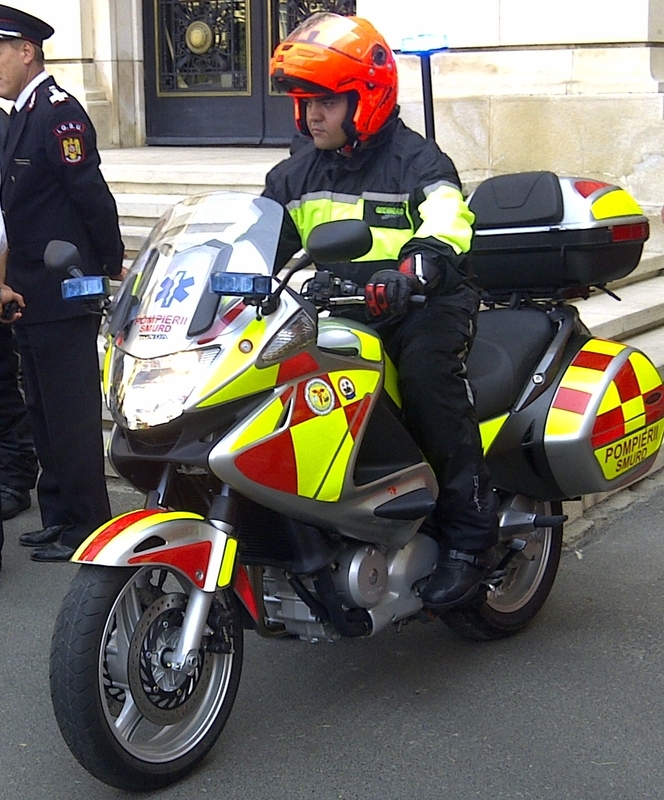 The campaign to redirect 2% of the income tax started in 2011 and continued in 2012. 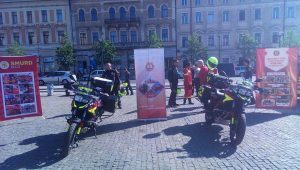 The name of the campaign was “Do not let the distance to hospital become incurable. Help us to shorten the distance to save lives”, and its purpose was to collect the necessarily funds for purchasing an ambulance-jet for SMURD. 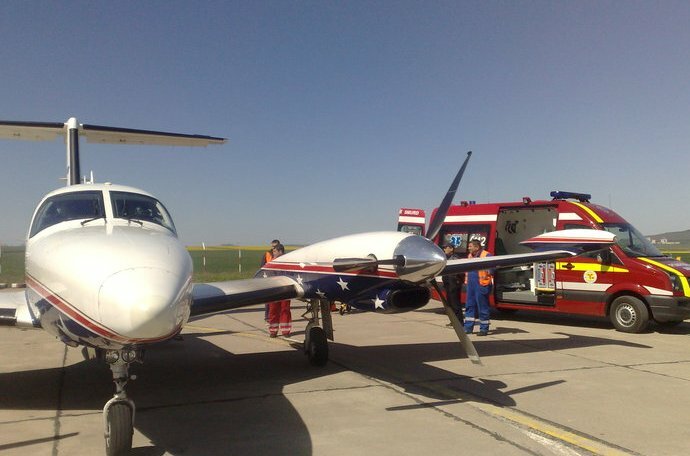 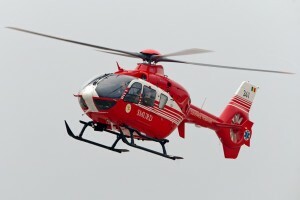 The importance of buying this airplane, built and equipped for medical emergency interventions, is proved by the large number of missions performed by a rented aircraft. 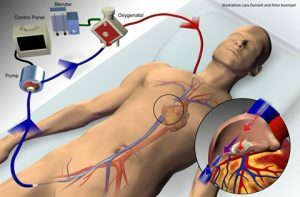 Beyond this simple figure there are, however, more than 138 lives saved if we take into account the three missions for organ transplant. Fundatia pentru SMURD sprijina, din fondurile stranse in cadrul campaniei 2% pentru SMURD, activitatea de interventie in situatii de urgenta desfasurata de Inspectoratul pentru Situatii de Urgenta “Dealu Spirii” al Municipiului Bucuresti, prin dotarea cu o Autospeciala de Prima Interventie si Comanda. Description: Completion of the training program of the pilots within the general Inspectorate for Aviation, the institution that operates SMURD helicopters, to the flight simulator for the EC-135 helicopter. 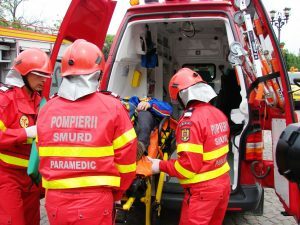 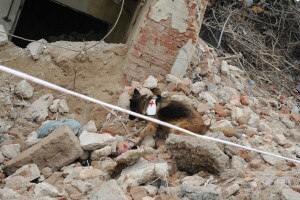 SMURD Foundation has received a request for support in order to support this national search and rescue team EN – USAR (Urban Search And Rescue) POLEX in international exercises in 2013, which took place in Poland, 23-26 April 2013.During the project, necessary equipment was purchased for The National Urban Search and Rescue Team, such as demolition hammer, concrete saw, and other accessories. 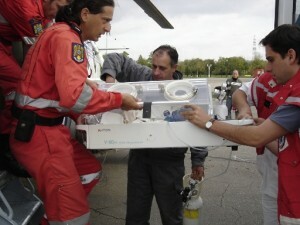 Such equipment is necessary for the accreditation on behalf of “The International Search and Rescue Advisory Group” (INSARAG), an international advisory group for search and rescue operations, which includes more than 80 countries and disaster response organizations under the aegis of the United Nations. 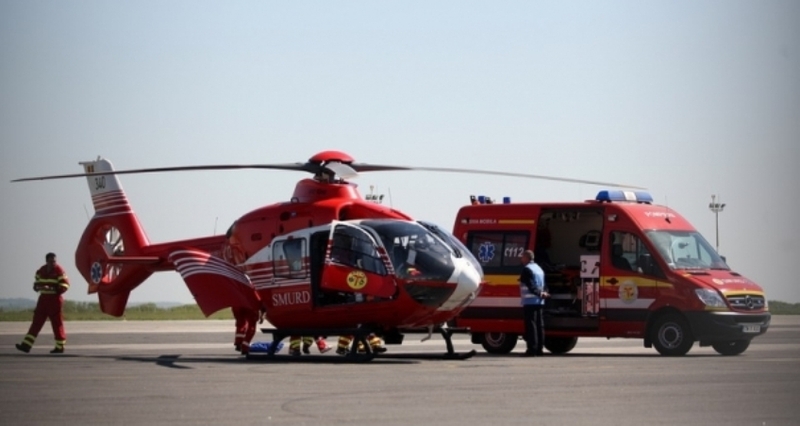 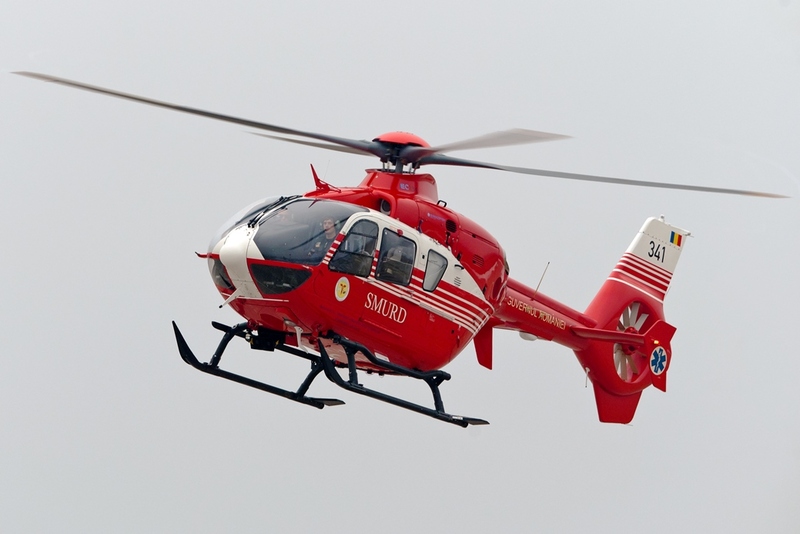 Following the request on behalf of the Emergency Hospital for Children “MS Curie ” New Born Intensive Care Department , the Ministry of Defense has provided emergency air transportation from Bucharest to Hanover, Germany , 3 patients who needed emergency surgery . 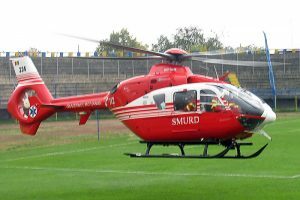 Patients were diagnosed with severe cardiac disease which required urgent medical intervention and were assisted during transfer by a medical team belonging SMURD. 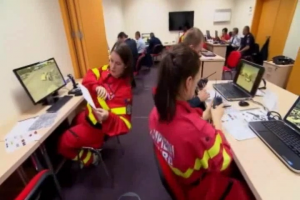 (2012) Support for modernizing the Emergency Care Unit (UPU-SMURD) within Targu Mures County Emergency Hospital. 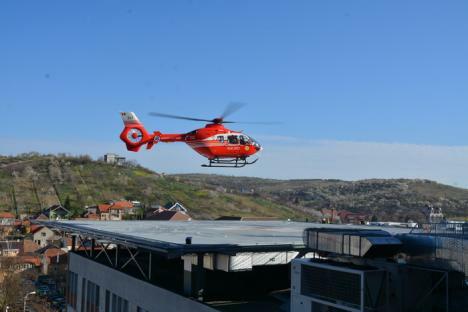 Support for modernizing the Emergency Care (UPU-SMURD) Unit within Targu Mures County Emergency Hospital. 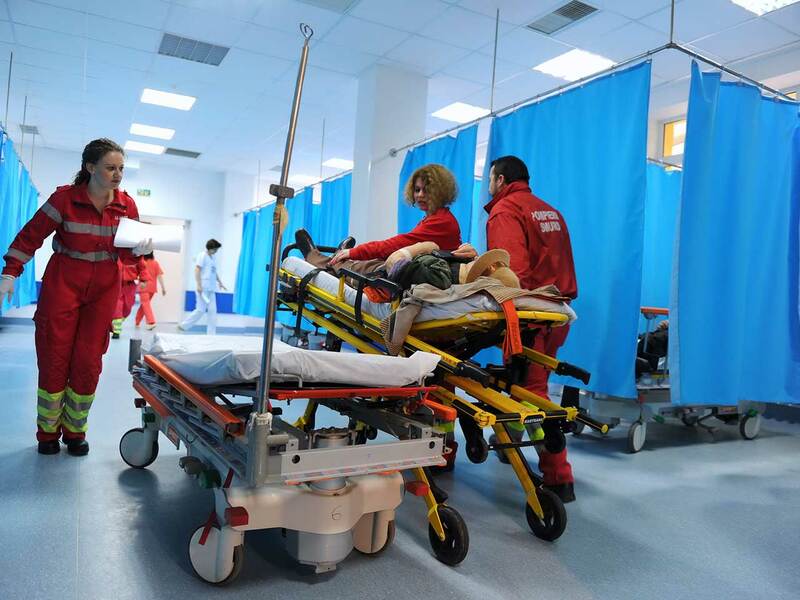 Support for modernizing the Emergency Care (UPU-SMURD) Department within Bucharest Emergency Hospital (Floreasca). 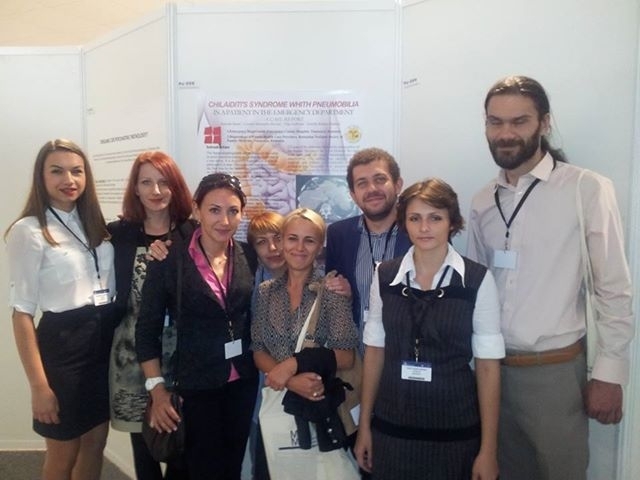 In the framework of this course were presented the views of international and Romanian experts regarding education in ultrasonography approach to critical patient Win Focus concept (“point of that birth-control”, prepared by the World Interactive Network Focused On Critical Ultrasound) and, finally, held an attestation of practitioners. 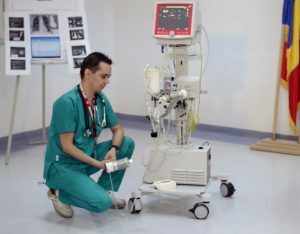 WinFocus concept addresses all critical situations in which ultrasonography can help diagnosis and treatment is vital. 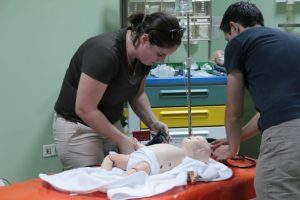 The interactive course is the presentation of cases and the opening towards integrative practice approach to clinical situations. Currently, SMURD Bucharest intervention technique consists of 20 first-aid ambulances, five mobile intensive care ambulances, one neonatal intensive care ambulance , one emergency physician car, 12 extrication and lighting trucks, one logistical support truck, two special intervention to disasters, accidents and calamities trucks and five vehicles for the transport of multiple victims. 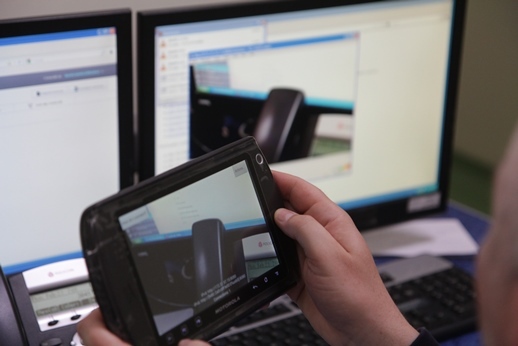 The entire network for emergency intervention in Bucharest is made up of 17 subunits of the Inspectorate for Emergency Situations “Dealu Spirii”. 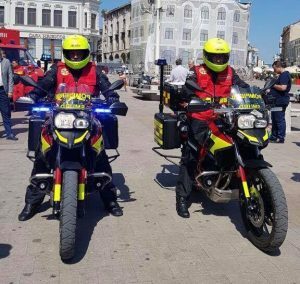 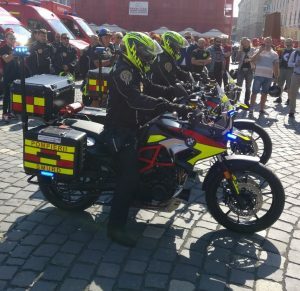 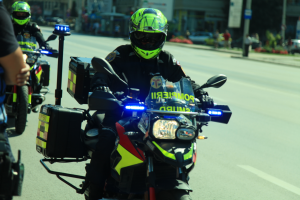 The two motorcycles are designed for interventions in crowded urban areas, given that heavy traffic of the big cities which makes the ambulances intervention difficult. 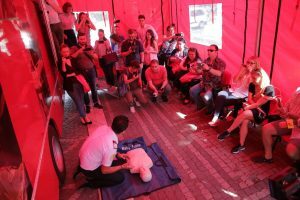 Thus, the emergency medical services will be improved in crowded urban areas by significantly reducing the time of intervention.